Big houses can accommodate more people and provide enough space for families to live, play, eat and conduct the gamut of fun family-and-friends’activities. That’s why big sized homes still entice home owners to dream about owning one. But because of their daunting price tags, not everyone who dreams this can make it into a reality. 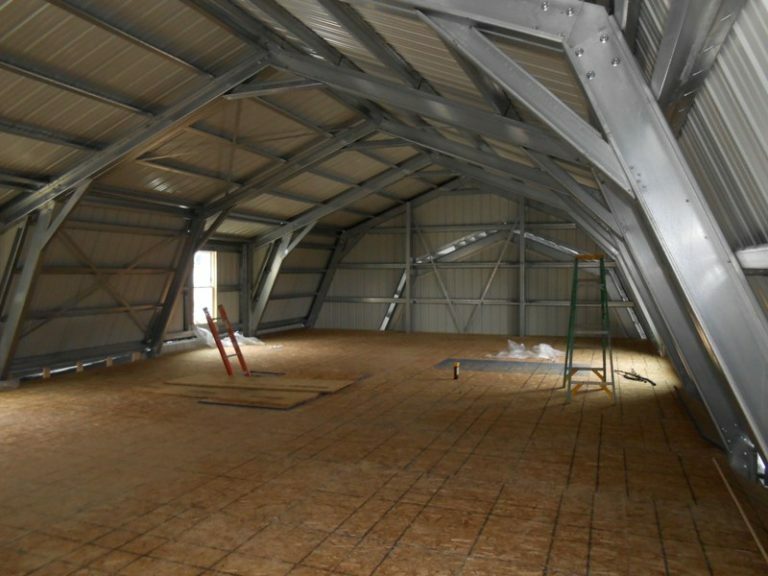 However, there are other construction options, such as looking into several firms that offer astounding steel frame gambrel-style metal building homes that fit the checkbooks of those who have a smaller budget. This house also requires lower maintenance as the Gambrel style design was originally used for barns. The aesthetic minds of the interior and exterior designers have made this traditional pattern into an extraordinary and elegant metal house that many would really love. 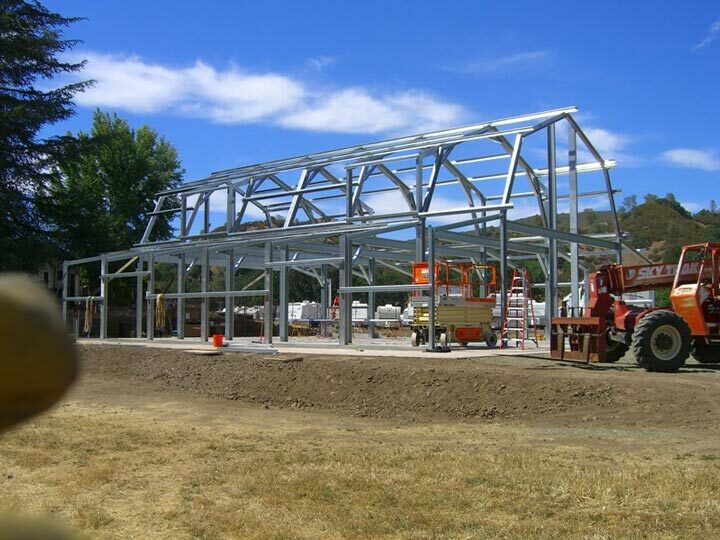 This lovely steel home was created by renowned home builders Ameri Built Steel. 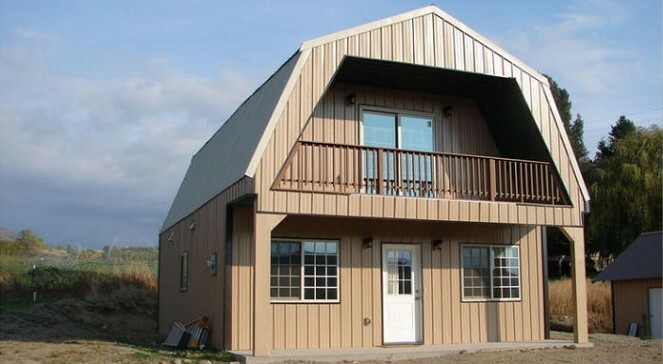 Starting $19,950, the whole family can be accommodated in this type of inexpensive prefab house. 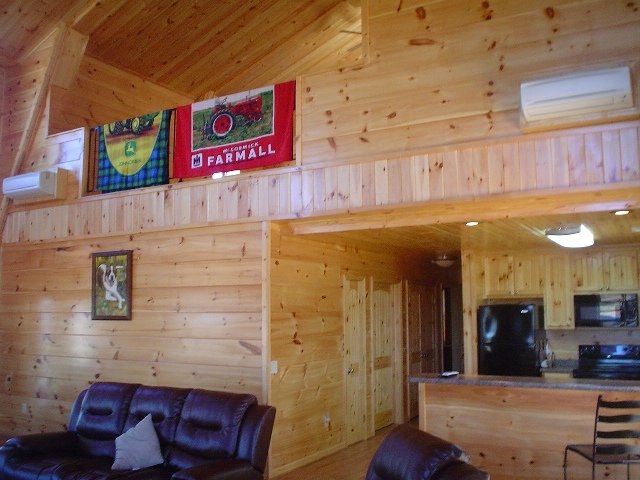 When you enter this house, you can enjoy the stress-free and calm ambiance created by its wooden interior walls — yes, although the exterior is strong metal, the inside can be finished with wood paneling (picture below). 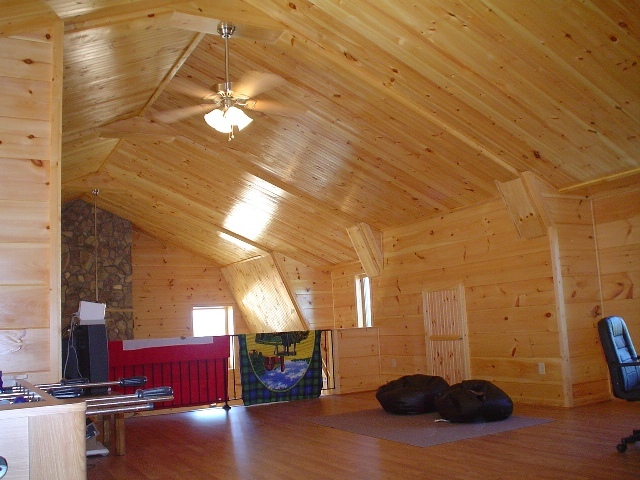 The living room is large and cool so you don’t necessarily need an air-conditioning unit. 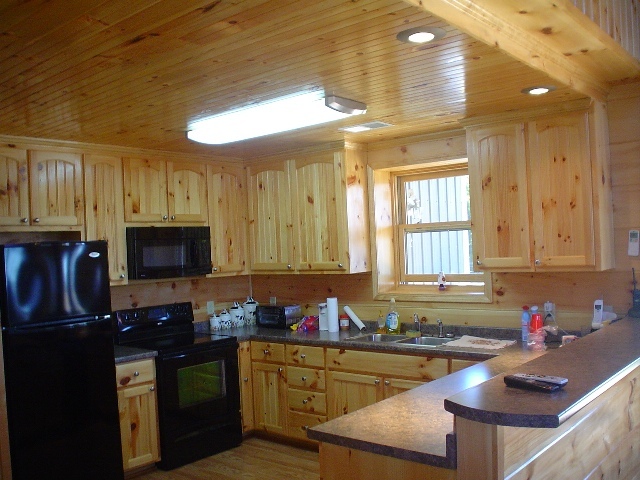 The customized wood kitchen is definitely fantastic and it is a great area for meal preparations. It is very inspiring to prepare food in a place where your creative juices for the culinary are flowing due to a beautiful and well-organized setting. Upstairs, you can utilize the space for fun indoor games and it is also a nice place for a home office for online professionals. 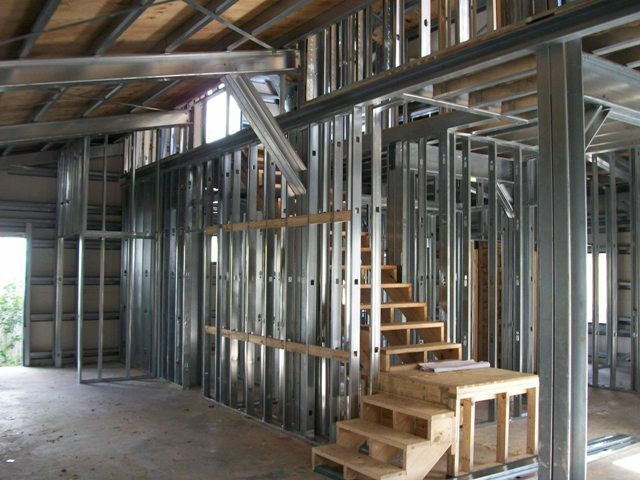 And with its steel frame design, you are assured that you are living in a sturdy home. 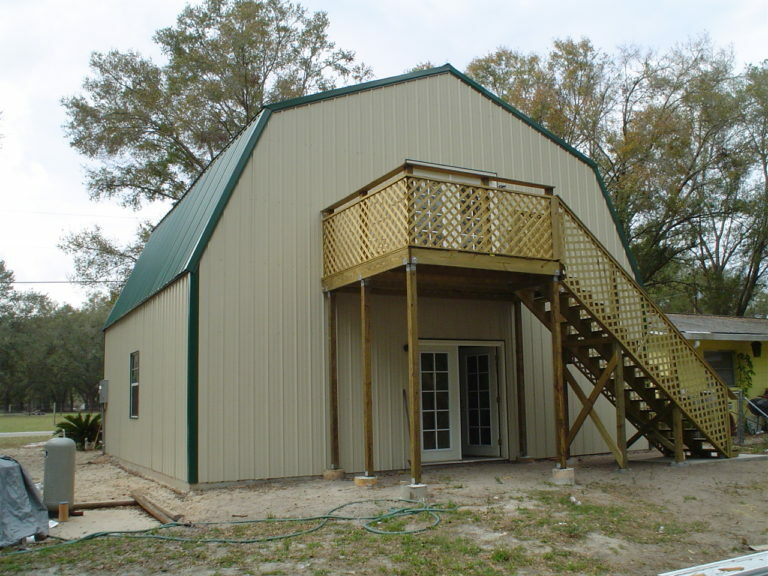 These delightful houses built by AmeriBuilt Steel and other steel construction suppliers come in various sizes and designs that can fit many home buyers’ preferences. I can really say that every occasion will be extra special when it is celebrated in any of these gorgeous houses. Imagine how comfortable your friends and visitors will be if they are accommodated well because there’s enough space to move and walk around plus the superb interiors set a stress-free atmosphere that every busy individual will really appreciate — one reason a home buyer might consider an inexpensive steel building over more more expensive option that might limit the size of the structure. 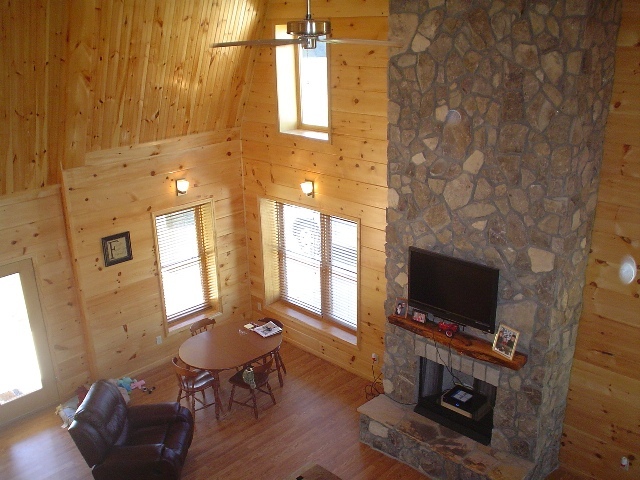 You can see more of AmeriBuilt’s metal home designs in the Building Homes and Living directory.